Whether you want to set up a company, expand or restructure an existing firm, implement new business ideas, commercialize patents or develop other activities: apart from know-how, motivation and all the qualities that make a successful businessman, you especially need finance. Without sufficient capital your opportunities are automatically limited and the success of your enterprise is jeopardized. If you want to be successful, the most important thing is to make sure that your project will be well financed. However, it is precisely at this stage that most projects fail. Where can I find suitable investors? How can I contact them and attract their attention? What do I need to bring along? These are some of the issues you need to think about. Sufficient capital is available for investments. 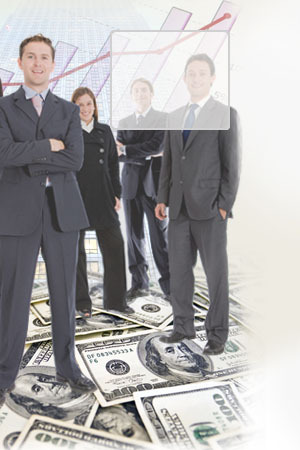 Investment firms and wealthy individuals are constantly looking for promising and profitable investment opportunities. With Alpha Investor you can find suitable partners and, in this way, capital for your plans.